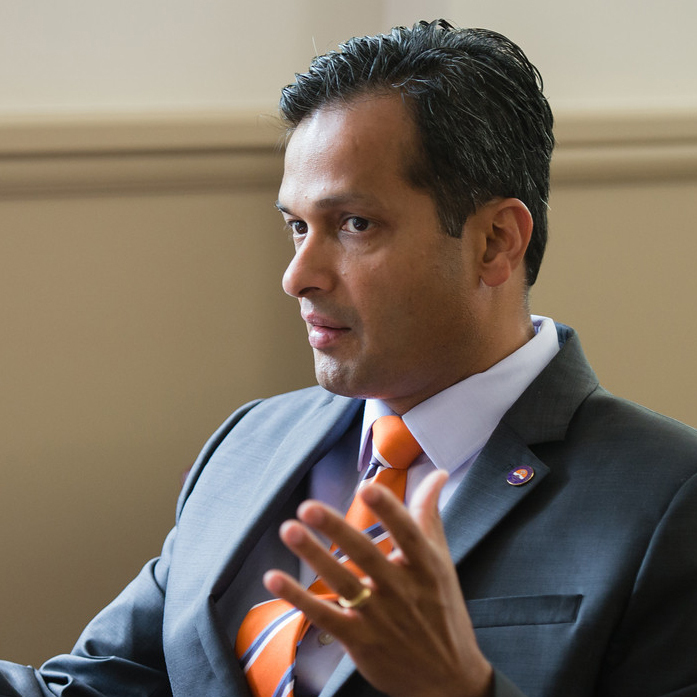 Gramopadhye joined Clemson in 1992, as an assistant professor. He was named chairman of the industrial engineering department in 2003, and assistant to the dean of the College of Engineering, Computing and Applied Sciences in 2010. In 2011, he was appointed associate vice president for workforce development. He earned a bachelor’s degree in production engineering in 1987 from the University of Bombay, India, and a master of science in 1989 and a Ph.D. in 1992, both in industrial engineering, from the State University of New York, Buffalo. 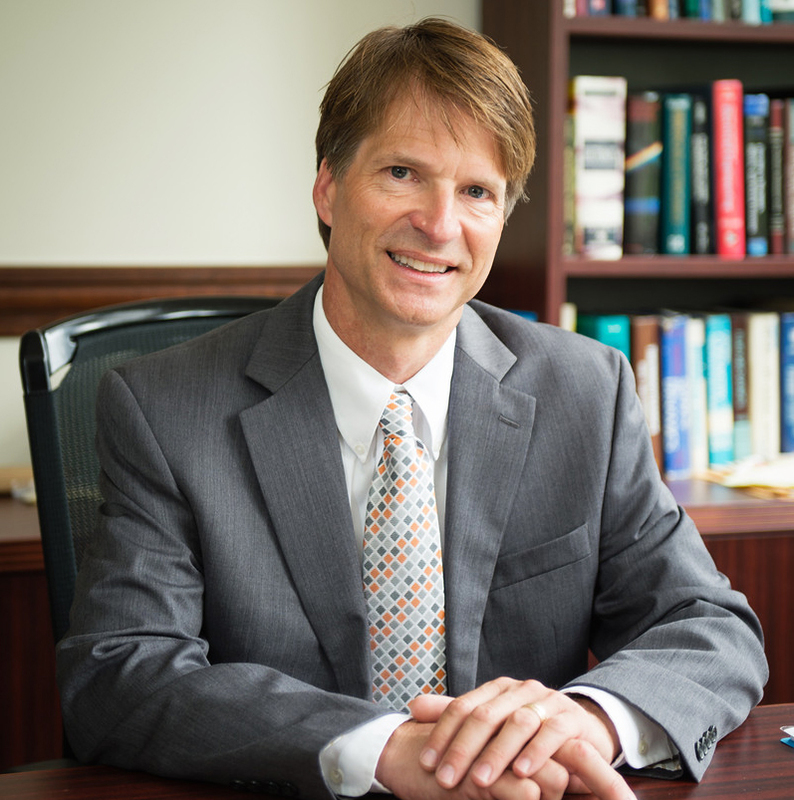 Douglas Hirt assumed the role of Associate Dean for Research and Graduate Studies (ADRGS) in February of 2016. Dr. Hirt has been a member of the faculty in the Department of Chemical and Biomolecular Engineering (ChBE) at Clemson University for more than 25 years and has served as ChBE department chair since 2009. He also serves as director of the Clemson-based NSF Engineering Research Center for Advanced Engineering Fibers and Films. 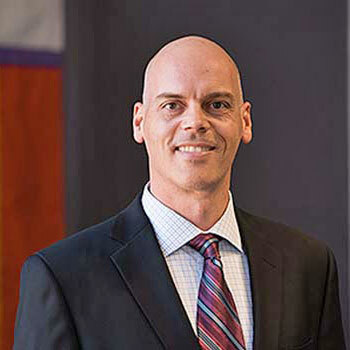 Hirt completed his doctorate in chemical engineering at Princeton University followed by a postdoctoral fellowship in composite materials at NASA’s Langley Research Center. Dr. Brad Putman is an alumnus of Clemson University, having completed his undergraduate and graduate work here in civil engineering. His research interests focus on transportation infrastructure, with particular emphasis on making various paving materials more durable and more environmentally friendly. In addition to serving as an associate professor of civil engineering, Putman was the director of outreach and EMAGINE initiatives for the college, inspiring young students in South Carolina to see the impact they can have in engineering and technical careers. E. R. "Randy" Collins Jr., Ph.D.
Dr. E. R. "Randy" Collins is the executive director of academic initiatives in the College of Engineering, Computing and Applied Sciences. Collins joined the department of electrical and computer engineering at Clemson in 1989. He holds a B.S.EE from North Carolina State University and a Ph.D., in EE from Georgia Tech. Collins is a multiple winner of the department's and college's teaching awards and received an outstanding educator award from the IEEE in 1997.